Hello everyone. Yes I am very late getting on here tonight. Not very happy with the pic of the IKEA bookshelf, but wanted to get this up tonight as promised. I think some further reorganisation is required. I have a busy day before work tomorrow. 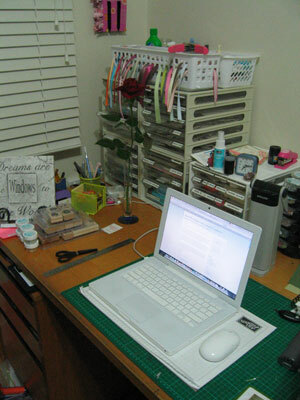 Thought I would also add one of my workdesk with my macbook on it as well. Ok, time to go and get some sleep. I NEED an early night for a change. Till next time.